All true coffee addicts are familiar with the brown, ring-shaped coffee stains sometimes left behind by their daily brew. They’ll find them on newspapers and magazines, coffee tables, desks, and papers. The most clumsy coffee drinkers (and the simply unlucky) sometimes spill their coffee onto the carpet as well. 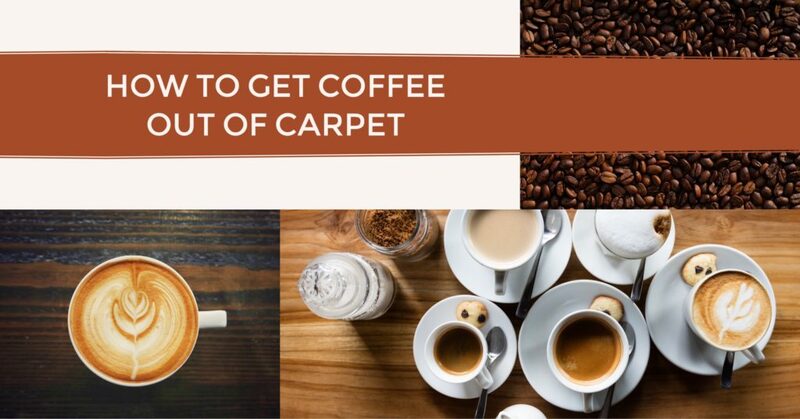 When treating a coffee stain on carpet, it’s important to act quickly or the stain will sink into the carpet fibers and dry, setting and becoming much harder to treat. This is especially important if the coffee contained milk or cream, both of which can become smelly and bacteria-ridden if left to fester. So if you want to keep your floor spot- and smell-free, you need to learn how to remove a coffee stain on carpet. As with all carpet stains, the most important thing to do first is quickly blot up the spill. Using a paper towel or cloth, dab the spot and soak up as much of the liquid as possible. Avoid rubbing, which can push the coffee further into the carpet fibers. Next, assess the carpet. If it is an antique or very valuable carpet (or rug), you might want to consider calling a professional carpet cleaner to ensure that the carpet won’t be damaged during the cleaning process. And whether your carpet is fragile/sensitive or not, always remember to do a test spot when using cleaning solution. Apply the solution to an inconspicuous spot before you move on to more visible areas. Mix about 2/3 cup warm water with either 1/3 cup white vinegar or 1 teaspoon liquid dishwashing detergent. If the coffee contained any milk or cream, use an enzyme laundry detergent as well. Apply this mixture to the stain with a sponge or spray bottle, dampening but not soaking the spot. Then, using another clean paper towel or cloth, blot up more of the coffee. Repeat this process until the stain is removed. If you’re able, you could switch between vinegar and detergent solutions. If the spot is still there after several repetitions, consider contacting a professional carpet cleaning company. Once the spot is removed, dampen it with some clean water and blot up. If the spot is still very wet, place a clean paper towel or cloth on top and weigh it down with a heavy object (like a large book) to soak up as much water as possible. Older stains are far more difficult to get up than brand new stains, which is why it’s so important that you act quickly and remove the coffee soon after it has spilled. Take care to get up every bit of the stain as well, especially if it contained milk, which can become very smelly once it’s soured. And remember, if you’re struggling to remove that coffee stain on carpet or you’re afraid that you’ll accidentally damage your precious carpet or rug, just call a cleaning company like ThuroCleanCarpet&UpholsteryLLC. We’d be happy to help you!